11 Comments on "Dedicated To All Our Friends At IPOD"
This proves that to start with, you have absolutely no class and you are a White Supremacist Peckerwood. What in the hell is wrong with you Frank. 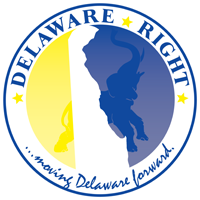 I now understand exactly why Delaware Politics sent you packing before you got them sued. You, my friend have a serious mental problem. Cragg and Grossman should take a serious look at what they are endorsing. I had forgotten about that clip in Deliverance. It was excellent. Dueling banjos is one of those timeless pieces of music. You never get tired of it! Some some are cross generational. Queen has some songs like that (We Are The Champions, We Will Rock You) that get adopted generation after generation. Or did I miss something and this was not about the music? You have it backwards Angus Burger. Frank is poking fun at the peckerwoods. That would be the opposite of white supremacism, right? So, this wasn’t about the music? Regardless, it’s a great piece. And upon reflection, parts of Sussex County do seem to be similar to the wild and wonderful state. Only liberals and people with no argument pull out the racism card to shut down discourse. Angus, not sure why you are so upset. I chose Dueling Banjos because of the give and take of the two instruments, I see it as representative of of the give and take I and the folks in the IPOD, or as I have taken to thinking of them, the POD people, have been having a friendly give and take here at Delaware Right. Not sure why you feel the need to call me a white Supremacist, but I would caution you and others to be very careful about documenting such accusations in public and on a site where I have the ability to trun over information to the authorities. Of course since you choose to hide behind a false identity you assume you are safe to be the fool that you are in your everyday life I am sure. Grammar and syntax,, and of course years of Internet history , here as well as other states…. Most people don’t know that the banjo player was fifteen years old, and had a speech impediment that kept others from understanding him. Ronnie Cox was the first person this child ever met who was trained to understand his disability and could actually communicate with him. Ronnie coached the boy on how to play the scene and it was a tremendous experience for both of them. Most people also don’t know he was not the one actually playing the banjo in that scene. I was one of those who did not know that until I looked it up a day or two ago. He sat there while someone behind him reached under his arms and played it. Good camera work disguised the whole thing.